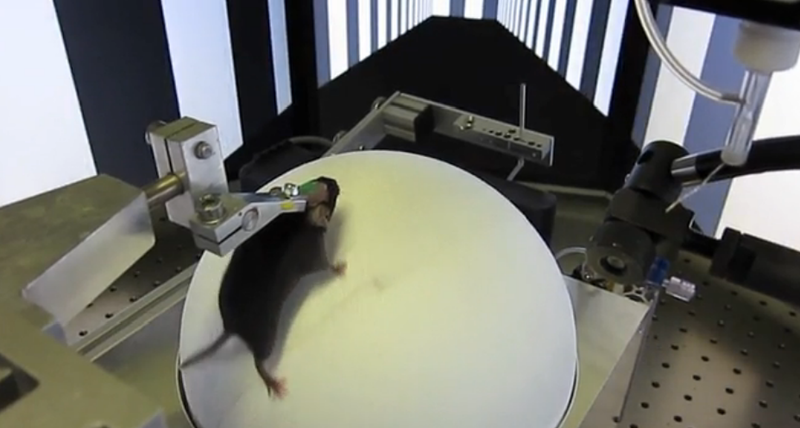 The air supported spherical treadmill allows an animal to navigate in virtual space. ViewPoint is a distributor for the Virtual Reality Jet Ball in France, in French Belgium & Switzerland. 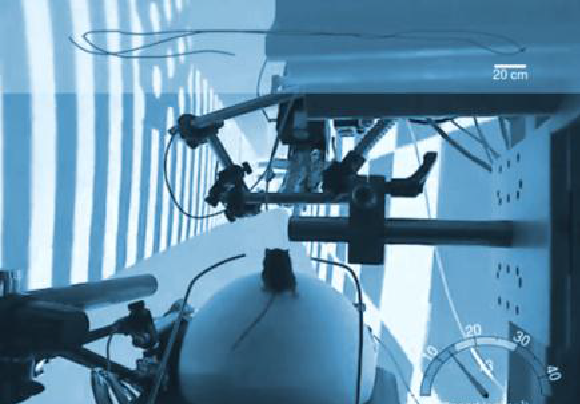 The Jet Ball is a novel virtual reality experimental system. It is based on an air-supported spherical treadmill, and allows a restrained animal to navigate in virtual space. Virtual reality provides a perfectly controllable experimental environment, and can be used for investigating navigation, cognition and learning and memory. Restrained animals can be examined with electrophysiological and optogenetic methods while the animal performs simple or complex behaviors. VR platforms are highly flexible and modular solutions. Stimulation is not only visual but can be extended to 3D sound, odor sand tactile information. It is easy to interface to existing hardand software for invivo measurements or brain stimulation.